We've begun our transition from our old website (somls.com) to RogueValleyRealtors.com! For our members, this is your portal and unified login for all SOMLS services. 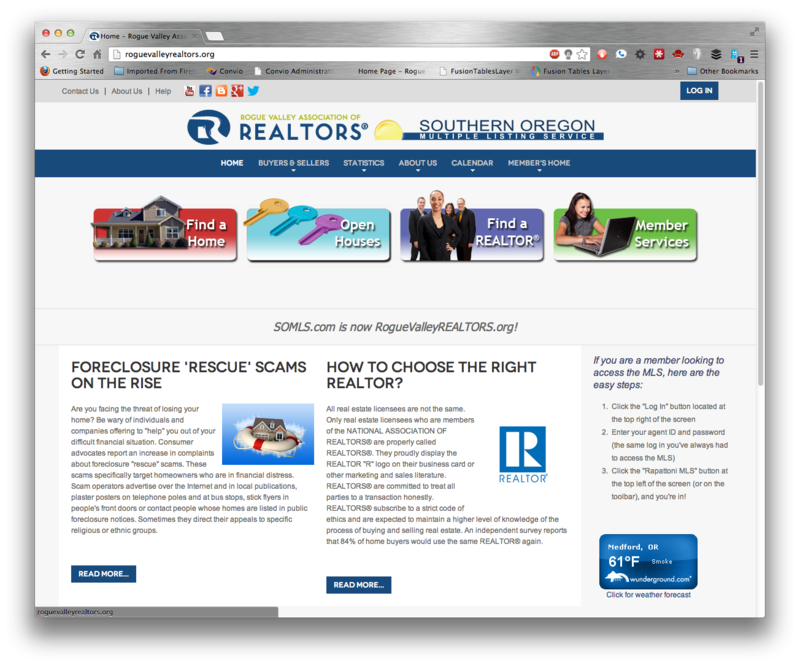 The public facing portion of the site contains housing news and a state of the art property search utility.